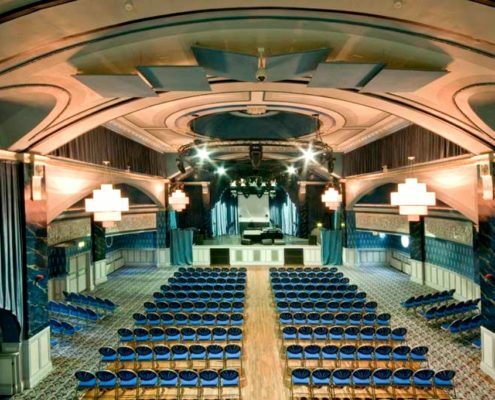 Built in 1926, the venue was originally named The Bath Assembly Hall. Its Art-Deco interior, indicative of the period, was the setting for balls and dances where the Foxtrot, Waltz and Quickstep were the moves of the moment. Renamed again in 1952 as The Embassy Ballroom.